Styled with the iconic sweatpant . 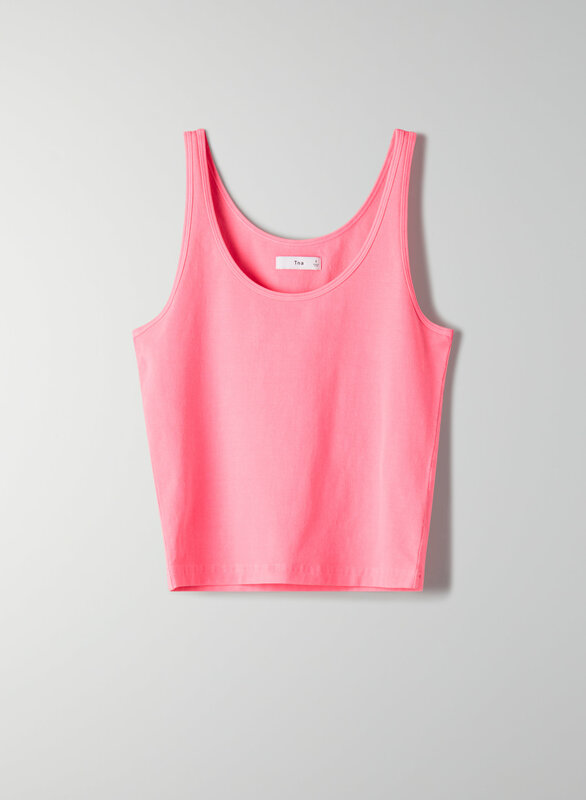 This tank has a bodycon fit and double-scoop neckline. It's made with Aurant™, Tna's signature high-stretch fabric.